Software-Defined Access Takes the Software-Defined Perimeter to The Next Level. Only if authorized, access is granted transparently to the intended user. Once access is granted, Safe-T controls data usage, thus preventing data exfiltration, leakage, malware and ransomware. Safe-T’s patented Software-Defined Access solution has been deployed by leading global enterprises to provide an adaptive access perimeter, thus protecting and mitigating all aspects of access and data threat. Safe-T's Software-Defined Access solution provides authorised access to applications, safe sharing of information within your organisation's hybrid cloud environment, and helps you comply with industry regulations and standards. Safe-T's Software-Defined Access masks data at the network perimeter, hiding applications and services from hostile and unauthorised entities – both internally and externally. Sensitive data, applications, services and networks simply remain invisible unless access is properly granted. Safe-T protects your entire data access life cycle. After authenticating and verifying the user and device, Safe-T’s patented Reverse Access technology pushes out the requested data only to the authorised user. With security policy-based access control, Safe-T enables you to control data usage, detect risk and create audits and reports. 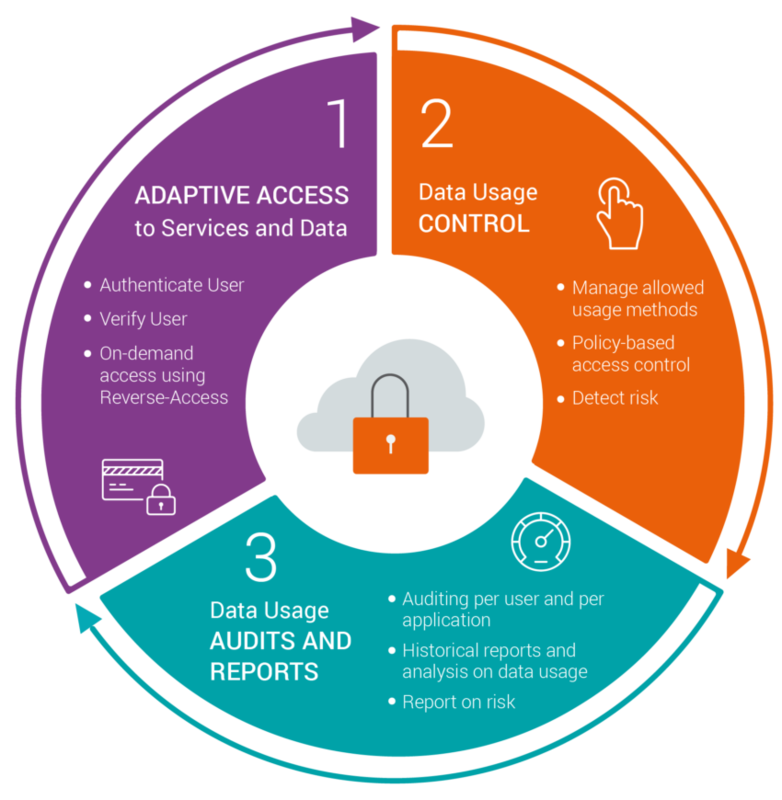 With a seamless user experience from any device, Safe-T also facilitates and consolidates data trust assessment for on premise and hybrid cloud deployments, securing access to data and applications everywhere.